The following personal essay was submitted to the asknoah.org website by a former “Karaite” Noahide who came to the logical understanding that the Karaite doctrine is false. Be sure to see his video series at the bottom of this page. That was how I (as a professed “Karaite” Noahide at that earlier time) ended my previous essay a few years ago, on the subject of a claimed Oral Torah tradition and its Biblical and philosophical evidences. The very fact that I kept my ending quite open like that is because I realised that life is very fluid, or, as my wife would say, “Life is subject to changes.” I started life as a person of no strong religious attachment. I then become a christian, and I eventually learned to attach myself to that doctrine wholeheartedly. Throughout that time I went through different phases, testing the doctrines of others and of my own, using the “old-” and “new testament” scriptures, and putting aside whatever doctrinal details I found to be untrue or inconsistent. Because of that testing, my convictions about the account of the christian “old testament” or the actual Hebrew Scriptures (which has other names, such as “Tanakh” and “Jewish Bible”) became much stronger, whilst trust in the so-called “new testament” waned. Directing my attention to the true meaning of messiahship showed that the Hebrew Scriptures had been distorted and twisted and undermined, especially by Paul and his modern-day followers, in order for non-Torah doctrines to justify their claims. Then I left that man-made doctrine, but I did not automatically think it was time to become a Jew, despite the arguments of the Karaites I had come to know. Neither did I adopt the beliefs of Orthodox Judaism about Oral Laws and rabbis. I existed as an outsider from the Jews, whilst adopting their written Hebrew Scriptures. More and more, as I would continue to write down my own understanding of Hebrew Scripture in the form of personal commentaries, I started to rely more and more on the traditional Jewish understandings, and I saw myself more as a “Noahide.” Personally, I was a non-Jew with ideas that seemed to be in agreement with Orthodox Judaism and its Oral Law, which still have their links and evidences strongly rooted in the Hebrew Scriptures. Yet because of my then-existing knowledge of those Scriptures and what I had learned about the Oral Law, I could write a lengthy article about the weakness I perceived in the arguments in support of the Oral Law. But the Oral Law remained at the back of my mind, since there were some convincing arguments about its strengths as pointed out by Rabbi Yosef Mizrachi (or, Mizrahi). I didn’t believe, as do some “anti-Oral Law” people, that the Oral Law was purely a manmade system, yet I didn’t see enough reason to view it as do Orthodox Jews and “Pious” Noahides in general. All this just shows me how life is subject to changes. I’ve found that most of the rigid and unchanging things in this universe are dead and have no life. I’m not saying that everyone’s going to go on my investigative journey, but you have to have a journey! You have to start some place and end up in another place, with different stopping-off points in the middle that are neither your starting point or your destination. Anyway, that brings me close to the present time, when I decided that I want to live a serious life for my Creator, living according to His Laws in detail. So I ordered a book called “The Divine Code” by Rabbi Moshe Weiner (published by Ask Noah International) which details the 7 Noahide Laws. One of the many precepts that it teaches (all clearly referenced, in detail) is a clear teaching that those who knowingly forsake the Oral Law are classed as wicked. I asked Dr. Schulman, the editor of the book and Director of Ask Noah International, if that means that according to mainstream Judaism, I am wicked. He suggested that I may not understand the Oral Tradition properly, and asked me to just consider it again. So I did, but this time I took a different approach than I did before, when I was arguing against the Oral Law. Here you can follow my musings and just see my thought processes as I was rethinking many things. The way I had earlier sought to test and critique the arguments for an Oral Law was to attempt to define what the Oral Torah was according to the rabbis, and then test their proofs and arguments, mostly by looking at my plain understanding of Scriptural verses, and seeing if that measured up with what the “Talmudic Sages” said. (2) an orally-transmitted component which contained details of the laws, their correct explanations and interpretations, and the Divinely-transmitted set of methods for Torah-scholars to analyze the Laws in order to derive the correct extensions of the Laws, amongst other things. The Talmud is one of the main works of traditional Judaism that contains the Oral Law. Now back to the main point. I used different methods to try to get to the plain understanding of the various texts used, such as seeing how certain words were used throughout the whole of the Hebrew Sciptures, or using Hebrew dictionaries, or showing that the interpretations of the rabbis were driven by the Oral Law, thus making it seem like a circular argument – using the Oral Law to prove the Oral Law. My plan was to use Scripture to show that only the Written Law is clearly mentioned throughout the Hebrew Bible, and that there appears to be no overt sign or mention of an Oral code. But the crux of my method was basically to treat the subject like a topic for critical Bible analyis, treating the subject as if you are just supposed to take up the Hebrew Scriptures and use texts and words to prove or disprove a concept. At the time, it seemed like the best method. Also, I looked at the validity of the Oral Torah as something that should be based on Biblical proofs. Thus, I thought that all I need to do is to find those proofs and test them, and that was the way to truth. This time I wanted to take a different approach. I didn’t want to hear or read any attempts to prove or disprove an Oral Law orginating from G-d at Mt. Sinai. I just wanted to really think about two things: what the Oral Law is, and what the Written Law is (not necessarily in that order). I would just focus on what these two entities are supposed to be. From there, I might be able to see if anything more is needed for the Written Law to actually be a reality, or whether the Oral Law has any necessity or usefulness at all. But there is one important point that should be made: if there is a real need for a Divinely communicated Oral Tradition, i.e., a necessary oral/extra aspect to the Divine Law that was given at Mt. Sinai, then, by default, the Orthodox Jews and their Pharisaic ancestry have the truth. Why? Because they are the only Jewish group that says that there is a necessary and integral oral/extra aspect to the Torah of Moses (with at least the core of that aspect being intrinsicially included within the Written Torah’s prohibition of adding or subtracting from “the Law”). What is the Torah Law? Now, thinking on a practical level, what is the Torah supposed to be for the Jewish people? We can give all those high-level, or “spiritual” explanations, but let’s just think like human beings who live in the day-to-day hustle and bustle of “mundane” life. Those other reasons have their place in other discussions, but right now I just want to get my head round this on a practical level. The Torah was given as a legal code to govern the Jewish people from its birth at Mt. Sinai, after their national exodus from Egypt. It was to regulate behaviours in order to establish and maintain, at the very least, a good society – although it produces much more than that. Just like any nation needs legislation, the Jewish people had a legal code, but in their case it was given to them by G-d.
Can a national legal system work with everyone being an equal for interpreting the Written Law for themselves, to keep it as they want to, living by their personal interpretation of the verses? For example, I’ll use the often-used Sabbath law. It is written that for Jews, “you shall do no ‘work’ on the Sabbath.” But what is the definition of “work”? To rephrase that in a more direct and focused way, what is the legal definition of “work” in that verse? Is it enough to look in a Hebrew dictionary, as I had done in my previous, Oral-Law “refuting” essay, and then interpret for myself how this must apply? What if someone else uses the same dictionary and gets another idea of how it would apply? Would this sort of approach succeed with the laws in our secular legal system today? And when does the Sabbath legally start for a Jew? When does it legally end? What about something as plainly forbidden as murder? What is the difference between murder and manslaughter, or any other sort of killing? What would make a person guilty or not guilty? Could I, as a person who reads and studies the Hebrew Bible in a unqualified way, look into a Hebrew dictionary and make a legal judgment that really counts – in a matter of deciding liability or non-liability for capital punishment? With regard to stealing: is it considered theft if I take a pen from a set bought by the company I work for, and take it home without permission? What if I see my co-worker drop a pen as he leaves for home, and I pick it up and keep it? Am I in the place to judge legally whether either is forbidden or permitted (as opposed to just morally right or wrong, with no legal implications)? So to ask the question again: can a national legal system work with everyone being equal deciders and interpreting the law for themselves, to observe it the way they want to, living by their personal interpretation of it? I think the answer to that one has to be no! There needs to be a standard authorized interpretation! There has to be something to clarify and give the legal details of these laws. Why? Because if there is not, then no one can be judged for breaking a law! The Torah Law institutes an entity called a “judge,” and this is a human judge. And this person was supposed to enforce the laws and uphold Torah-based righteousness and justice. How can this be done if everyone is going along using their own individual interpretations of the laws? If that were the case, the Torah Law then could not be equal for all Jews, and therefore it wouldn’t really be a system of law at all, because it could be bent to individual tastes. On the contrary, “law” is supposed to govern and rule upon individual tastes with a common standard. I remember how many times I have physically winced and flinched when I hear some of the horrendous interpretations and horrible redefinitions of Hebrew Scripture that some christians do. But if there were no originally authorized interpretation, even of the non-legal Scriptural texts, then their “interpretations” would be just as valid as those of a Jew whose whole life has been immersed in the traditional study and observance of Torah. For those who appreciate the angst and frustration of having to deal with contradictory interpretations of Bible texts by different groups of individuals who are hardly trained in authentic Bible scholarship, but which are still accepted as authoritative by this or that non-Orthodox group, you know exactly what I mean. I’m not saying that over the course of the history of traditional Judaism there have been no justified (and actually substantial) debates about some points, but it is a whole lot better than what I’ve seen in other groups. So, as can be seen, there needs to be an authoritative standard of interpretation with regard to legal and also non-legal Biblical texts. What is also clear is that this authoritative standard of interpretation and application of legal and non-legal text, that was absolutely necessary from the beginning, is missing from the simple reading of the Biblical text. That makes it something that is non-textual. What we have here is an absolute necessity for a non-textual authoritative explanation of the Torah Law, starting from the time that the Torah was given. I think that’s an Oral Law. And since this would certainly continue throughout the ages, because it would necessarily be passed down consistently from generation to generation (e.g., because great numbers of Jews have always lived together under the authority of Torah Law as communities, connected back to the ~3 million Jews who stood at Mt. Sinai and received the Torah through Moses, and studied and observed the Law with the overlapping of the generations of grandparents, parents, children and grandchildren), I think we also have an Oral Tradition. Now my thinking and self-examination that I described just previously leads me to the conclusion that there must be not only authoritative legal details and standards, but also standards for non-legal textual issues when it comes to other parts of the Hebrew Bible. Thinking practically, I can’t think of any other way to rule a nation or maintain the integrity of a Divinely communicated and ordained book without this. But the question must then be: when would the teaching of the authoritative Torah-Law details to the Jewish nation had to have occurred? It would either have to be during the giving of the laws, or after. Now here, I’ll just focus on the laws, and I am still talking about the Torah laws given at Sinai. Could any authoritative details, defining what had been commanded, have been given only after the laws were taught to Moses, and after he set up the system of judges and courts for judging the people according to those laws? Let’s imagine that the body of law was given at Mt. Sinai, but authoritative details and explanations were given centuries after. Does this allow us to make sense of what the Torah actually says? For example, if the prohibition of “work” by Jews on the Sabbath is everlasting from the time the law was given by the Almighty, then the standard to which the original hearers of the law would have been held to would then be the standard that later generations would be held to. But if the authoritative details were given even one or two generations later, then how would that generation and later ones know whether the original generation lived up to the same standard? Remember that it is written clearly in the Torah itself that no one is allowed to add to or subtract from the Torah Law. Wouldn’t details introduced later be seen as unauthorized additions by many people in the society? And if the law was given at one time and the explanation at another, then wouldn’t that leave the original generation stranded as to how they could have judged and kept the law? The most practical and common-sense way to see the giving of the Divine Law at Mt. Sinai is to have the Written Torah and its details given at around the same time and by the same source, namely, the Al-mighty. Moses would receive the law in its entirety, the laws and its details, explain it to the elders, judges, and people, and then write down the laws and distribute those written texts among the people, so they would know the laws by which they would be judged. This would ensure that in Moses’ generation, since they and their children were the ones who actually witnessed the Al-mighty’s revealed speaking to Moses, which provided eternal evidence of the validity of Moses’ prophetic mission and message – therefore the laws and their details would have the same unquestionable force and validity in the progression of the future overlapping generations. So basically we have the necesssity of an authentic Oral Law from the Almighty, given at Mt. Sinai . Also, since new situations arise as time goes by and things change, there needs to be way or means to interpret that law so that it is still authoritative, but it can adapt to the changing environments and circumstances. Since we are dealing with Divine Law, these methods of interpretation and application would have to accurately reflect the will of the Deity. They can’t just be wholly based on a person’s ideas of how to interpret the laws, since there would be significant doubt about whether that person’s ideas reflect the true meaning of the law, since a person may be swayed by personal preferences, political leanings, and all sorts of influences. If there were already well-known Divinely set principles about how to correctly interpret the law, and the qualified judges (not just any individual judge, but a Supreme Court of many high-ranking judges who all accepted the majority’s decisions) used those principles to interpret the law and derive applications for new situations, that were then publicized and taught to the people at large, who could clearly see that the widely known set of Divine principles had been followed by the expert judges – then there would be more certainty and societal acceptance of the validity of that interpretation or derivation. The influences of other considerations, such as individual politics and ambitions, would be diminished by the set rules and principles that were followed in this system. If the details of the Torah Law and the means to interpret it were given at the same time, then, in order for it to be shown the same respect as the Written Law, it would have had to come from the same source. Since the Written Law is Divine, then the details and the means of interpreting it would also have had to be Divine. That is the only way it would be treasured and kept in the same way. There would also have to be people who would have to safeguard this interpretation so that it would be maintained as much as possible throughout the ages, for as long as the laws are supposed to have lasted, which is forever. An argument I made in that previous anti-Oral Law article was that since currently there are no priests and prophets, then there can be no way of knowing or judging! So are we then bereft of legal guidance in matters of even the simplest laws? Do we do it all ourselves? Is that even legally practical? From the very beginning of the giving of the Torah Law, judges and officers were instituted to maintain the principles of justice and righteousness. Although the priests (Jewish male descendants of Aaron) were commissioned with judgment, there were still officials – laymen judges – who were put in place by whatever means, who would treasure the aforementioned details and hermeneutical laws. Since the whole Law, the basic laws, the details/explanations, and the methods of interpretation and application, were all Divinely given, they all had to be kept with precision and accuracy. That means that there would be a record of all the details that are unchangable, and the fixed principles of interpretation that they have, maybe even some case-law judgments. And this could be kept in their possession, under their protection from the earliest times. Who would keep and protect these laws and details? The priests and the judges, the people to whom judgement was given. A weakness with all those that reject the Oral Law, the extra-Scriptural details and principles, is that they have no record of the way things were interpreted in the past. They don’t accept – or at least, they don’t trust – the words of the custodians of Orthodox Judaism, the rabbis. They have no way of knowing how the generations from Sinai onwards kept the laws according to their details. It is a frequent effort of the criticis to reinterpret the Scriptural text to deal with issues that come up today, but this is still without any evidence that this is similar to the ways of the ancients, apart from that which can superficially be seen in their plain understanding of the Scriptural text. Also, since they interpret based on the words of the Hebrew Bible and other factors such as the fragmentary knowledge of history we have, although their methodology may show some logic, it is uncertain how close it is to the Divine will. Now despite the fact that even I myself may complain that some of the derivations and principles of the Oral Law and the rabbis seem a stretch, even an overstretch, or illogical, they at least make the claim that they didn’t simply make up the rules or are doing things based on their own principles. They claim that their laws of hermeneutics that they have are from Moses. It is important that they make this claim and the other groups don’t, since this helps distinguish who is just holding onto their own interpretation of the written text, and who is holding onto and protecting the details, explanations and principles of the Divine Law. It would seem to be the rabbis who are the custodians of the authorized interpretations, through their adherence to the ~2000 year-old redacted Mishnah and Talmud, and the early subsequent codifications of the Oral Law! Now since there is a written portion of the law that needs to be kept, then there are many ways in which this needs to be upheld and maintained. The words and meaning needs to be maintained in the same form that it was received. There needed to be a standard reading, an authorized version of the written Torah text (which contains no vowels), so that mistakes and discrepancies through the generations would be minimized. The vowel system needed to always remain the same since a change in vowels can change the tense or the entire meaning of any word. Were Torah scrolls always given without vowels? If they were, then there had to be an extra-Scriptural tradition by which the text was taught with the proper sounds with the proper words. Judaism and mainstream history maintains this to be the case: that the Torah scrolls were always written without vowels, as they have been at least as far back as any bits of ancient Torah scrolls that have ever been discovered. Even if Torah scrolls did have vowels on them thousands of years ago, all the scroll essentially is is specified squiggles on a page until someone comes along to make sense of it, and there needs to be a standardized version of the Hebrew language, and even that is external to the text. The Hebrew letters and signs for vowels do not say anything about how they are supposed to sound. So this information must be separate from the text. I admitted beforehand myself that this does require oral-transmitted information. The question is how and when that oral information was fixed in place. Again, if that was after the Torah was given, then the question is this: do we have the original Torah scroll text as it was given to Moses, including its pronunciation? Again, we can say we don’t know. We could believe it were so, having the extra doctrine that since Deity was involved, it was required that the text had to stay the way it was originally, through rigidly strict rules for how a new scroll would be copied from an existing scroll by an expert scribe. But then again, if it were fixed at the giving of the Torah-scroll text, then again, there is more certainty, since there would be – in the words of traditional Judaism – “an unbroken chain” of [this] Oral Tradition from the time of Moses until now. Also, definitions of words would need to be fixed. The word translated “work” couldn’t mean one thing today and another thing tomorrow, like words in the English language, such as “gay” and “cool” and “replenish.” If the meaning of the words changed then the nature and standard of the law would change as well. It has already been discussed briefly that there would have to be a standard with regard to the rules of interpreting even non-legal Scriptural texts (e.g., almost all of the Book of Genesis), so that ludicrous or damaging wrong interpretations cannot arise. Since there are still rules of interpretation, further interpretation would be possible, but at least it is limited to a certain Divinely apportioned arena, rather than the free-for-all principle that seems to exist outside these confines. So the overreaching scope of this non-textual standard is wide, covering so many areas. it would govern not only the interpretation of the text, but also fix the definitions of words, the sounds of the letters and vowels and their placement. interpretations and laws that would not be used until much later in time (these were not taught to the people at large). According to this view of Torah, this oral Torah was to be passed down by word of mouth. * Men who grew to be fluent in this Oral Torah were called sages and rabbis. According to the oral law explanation of Deuteronomy 17:8-13, a group of these men, called the Sanhedrin, because of their vast knowledge of both Torahs, both laws, were given authority to judge the people, interpret the written law, and derive new laws from it, using the hermeneutical rules spoken of above. These new laws became included in the oral torah, having Mosaic authority attributed to them because they used the hermeneutical rules given by the Al-mighty to Moses. That means that these derived laws and the unwritten ones that are said, in the oral torah, to have come from Moses, have the same authority as the written code. The written code is simply the bare skeleton of the law, only the very basics. Without this oral code or “oral law”, the written code is “unintelligable”, “with many terms … undefined.” Even the vowels and punctuation marks can only be known by the oral law, a tradition handed down from Moses by mouth. Without vowels, the text becomes too ambiguous to understand. You know, it’s kind of strange to be quoting and refuting myself, or using my own words to prove what I didn’t used to believe – those traditional Jewish principles that I had outlined in my previous essay. I guess we all do that in one way or another at times, even if it’s just mentally. But the question is, if I am refuting myself, where did I go so wrong with my previous point of view? Right now, with what I’ve said before, the Oral Law is making more and more sense to me. It looks like something such as this must have been needed and necessary for the Law of the Al-mighty to be workable (and of course He must have planned it to be workable, because He is infinitely more wise than we human beings), and for the Hebrew Bible to remain with the integrity it has today. And remember what I said before: if the oral law is shown to be necessary, then Orthodox Judaism is true by default because they alone actually claim to have such a thing that was given at Mt. Sinai. Again, so where did I go wrong? Who was I but a few months ago? I “knew” there was just something wrong with the Oral Law. It seemed like some foreign addition which had no hint of its existence in the Hebrew Bible that I loved so dearly. Some of the things that the rabbis said seemed irreverent and arrogant, even against the Al-mighty Himself, in my eyes. To have men overcome the Creator in critical legal disputes??? That was just too much. But now I look again at my approach to this subject and I see some serious problems with the way I handled it. Firstly, as I said before, I treated this subject like a criticle bible study. I analysed it academically rather than realistically. Rather than take the Torah Law of the Jewish people as a legal document, it was taken as a biblical challenge. Instead of stepping back and taking a look at how laws are usually implemented in countries, I took the law to be like a book that someone reads and must understand the definitions within, in important ways, isolated from real life. Secondly, I was unconscious as to my own presuppositions. Throughout my previous article, I was biased to the view that since the Hebrew Bible can be understood (so I thought) without THE Oral Law, then the Oral Law isn’t needed. But how a person views the Bible isn’t governed so much by the Bible. The Hebrew Scripture is a Divine book, and as such it needs to be handled properly by people who are well acquainted with it. Part of the purpose of the laws within the Torah is to actually legislate and thus can only be handled authoritatively by those qualified to, namely, the judges, nowadays known as the Orthodox rabbis. Thus the interpretations I was giving in my article of matters such as circumcision, Sabbath, and Sukkoth were just personal interpretations that have no bearing on the legal authority and edicts of those who are in the place to judge. Look, I don’t believe it’s wrong to have a personal opinion, but it has to be measured against who you are talking to. It’s OK to have a personal opinion about the way your parents raise you when you are a child; but that doesn’t give a child permission to disrespect the parents and to undermine their authority, even if the child is choosing to go his own way. It’s OK to have a personal opinion about the secular law of the land; but in no way can you go against the legal authorities because of that personal opinion without bad consequences. In the same way, I may not like some of the stuff that ancient and modern observant rabbis and Talmudists have said, but they are the legal authorities (at least with regard to interpretation and application of the Hebrew Bible). There and then, in those early days of the Jewish nation, you couldn’t rely on such tactics which we now call (non-Orthodox) “bible study.” You would have to learn from the authorities and the teachers what to do and what not to do. You would have to abide by the rulings and the definitions they held and taught to their disciples. And I wondered why I repeatedly got the rebut from the “Oral Law” adherents against the “sola scriptura” crowd, “you’re following your own interpretation;” or “you’re making up your own interpretation.” I was thinking to myself at that time: “yes, I’m following my interpretation, but it’s based on the Bible.” But just as it was shown to me recently, I’m essentially relying on myself when I interpret the legal parts of Hebrew Scripture by myself or using whatever resource I chose at the time. In this age of individualism, which I still couldn’t get out of my system but never knew conciously, that may be the standard, but where Divine Scripture is concerned, you just can’t live like that. The Torah uses the phrase repeatedly that one transgresses by “doing what is right in your own eyes,” but even with those Scriptures in my mind and hand, I was doing just that! One of the problems I had is that it is commonly said in the traditional Jewish jargon that there are “two Torahs”: the Oral Torah and the Written Torah. This logically brings to mind two separate entities. And to many, it would logically follow from that that if both are Divine and were given by G-d to Moses, and the Written Torah is repeatedly spoken of in the subsequent books of the Hebrew Bible, then surely the Oral Torah should get similar airtime, yet no such entity is overtly spoken of, at first sight. But I think the problem here is two-fold, both with the terminology used and the way it is naively understood by outsiders. Although the words “two Torahs” is used, it can be understood in two ways. Primarily, it should be known that when Jews refer to their main source of Divine revelation and guidance, they only use the word “Torah” in the singular, because in one way there is only one Torah that was given at Mt. Sinai, in the sense “the Torah” literally means “the teaching” – of the Law; there are just two parts of it: an oral part and a written part. So to summarize, that is two parts of one Torah (one teaching). Here are at least two, now existing, online Jewish sources that say this. But because the two parts can seem so distinct because of the different nature of each, it can be seen as two Torahs. With this in mind, it is understandable why Scripture would only refer to one and not the other: because mentioning the distinction is simply not needed if both are related. By following the oral explanation of a written law, you are keeping the written law. So it would make sense that scripture would say that so-and-so did something according to the law that was written by Moses. And it would also make sense that the Torah would rarely refer to multiple Torahs or use the plural since for the most, they are a unified Torah, each one relying on the other. Another point to mention is my earlier contention that the Jewish people could hear the Torah being read and they understand it, without an Oral Law. To me, it seemed like Oral Law proponents were saying that this is impossible without the Oral Law, since they kept on saying that the written code cannot be understood at all without the oral. There are two points that would show the futility of my earlier argument. Firstly, if the oral and written codes are simply two essential components of what we know as “Torah,” then if both are passed down from fathers to sons and by teachers to pupils, then upon hearing the written portion of the law, the oral code would give understanding to what was said. Secondly, regardless of whether the oral code is taught in its entirety or not to any particular individual, even Jewish children would have to learn to understand the Hebrew language. Thus they would still get a general idea of what was being said in the law, even if they didn’t understand all the legal definitions and explanations. Every Jew would learn the language as each one of us in other countries learn the language of our parents as we grow from baby to toddler to young child. Therefore, even people of simple understanding could get understanding from the law as it is read, enough to know Who to worship and why they should fear Him. They would just need explanations and have to learn the details of the laws. Although not all of my questions have been answered, the thoughts that I’ve shared above deal a critical blow to the way I used to view things. With all this said, I still don’t think it’s possible to prove the Oral Law using Scripture alone, especially with a person who reveres and knows only the written code. My own experience shows this. I could, with some ease, find a textual answer to most if not all the Scriptural proofs the Talmudist presented. This wasn’t due to the inadequacy of the Talmudist’s argument, because based on the Talmudist presupposition and what I’ve discovered for myself here, the argument is normally sound. But if someone has a different mindset or a different set of presuppositions, like people who hold on to a Karaite doctrine, or from a christian Protestant worldview – which is normally “sola scriptura” or “scripture-only” in approach – most of the arguments will just bounce off a reply that makes some sense. The only reason why my attempt at rethinking this issue got me to conclusions that change a significant part of my worldview is because someone at Ask Noah had the heart to say “maybe you don’t understand what the Oral Law is,” without being too judgmental. The mercies of the Lord granted me the heart to take that to heart and find out what the Oral Law is, by taking a step back and looking at what law is in general. You know, it’s kinda weird. I spend a fair amount of time writing an essay that is probably over 120 pages and a bit more time writing a smaller article on the “sola scriptura” approach. And then I can think about things and write this “response” that is only a fraction of the size, yet it still makes the same amount of sense to me. But this still isn’t over for me. Although I’ve been lead to this conclusion about the Oral Law, I’ve spent years resistant to it, and even now, I still don’t like some of the things the rabbis say. But I have to follow things to the conclusion, no matter where they lead. I hope and pray to the Creator of heaven and earth that this is a step closer to His truth. It is not an easy road – for good reasons – but I only ask him to help me and guide me closer to Him (i.e., to His will), because in the end that is all that matters. 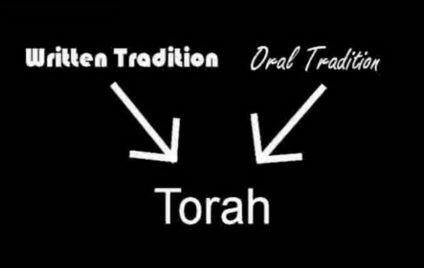 Why a Noahide accepted the Oral Tradition of Orthodox Judaism: these videos explain the reasons why he accepted the Oral Torah after holding to the so-called “sola scriptura” approach for many years.